Local, state and federal agencies are using October to educate businesses, organizations and individuals. October is National Cyber Security Awareness Month in the United States. Agencies at a federal, state and local level use this time to provide education about safe internet use. It is applicable to everyone from individuals to companies, organizations, charities, schools, universities and anyone else who connects to the internet. This is a concern that is familiar to computer users but mobile security remains a low priority for many. 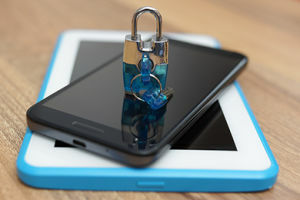 Despite the fact that many people are aware that their mobile devices can be hacked, the most basic steps are often ignored. A large portion of the population still has not taken the most primary steps to protect their mobile devices. For example, many people have not created a password to lock their devices. Moreover, those who have a mobile antivirus app installed remain in the minority. Cyber Security Awareness Month is designed to help improve this situation. There are many threats that Mobile Security Awareness Month is hoping people will begin to recognize. Among the threats faced by mobile device users include: identity theft, viruses, phishing attempts, and online harassment. October is a good time for people to think about these concerns and take action to protect themselves against them. • Parents can speak with their children about staying safe when using a mobile phone or tablet. • Computers, smartphones and tablets should have antivirus and firewall software installed and activated. • The added security features built right into the majority of smeartphones should be activated and used. • Apps should be kept up to date for the most secure versions. • Pay attention to suspicious ads, activities and behaviors and avoid opening or clicking on any of them. • Back up files regularly and keep passwords strong – alternately use a secure password manager. Cyber Security Awareness Month isn’t designed to frighten people. Only to educate them so they can keep their data safe. By taking these steps now, they will soon become second nature.